The Virginia Mason Athletic Center (VMAC) is an impressive 200,000 square foot waterfront facility and boasts a state-of-the-art indoor practice facility as well as three outdoor practice fields. It is also open all year round to members of the public meaning that loyal fans can watch their favourite teams take to the field. 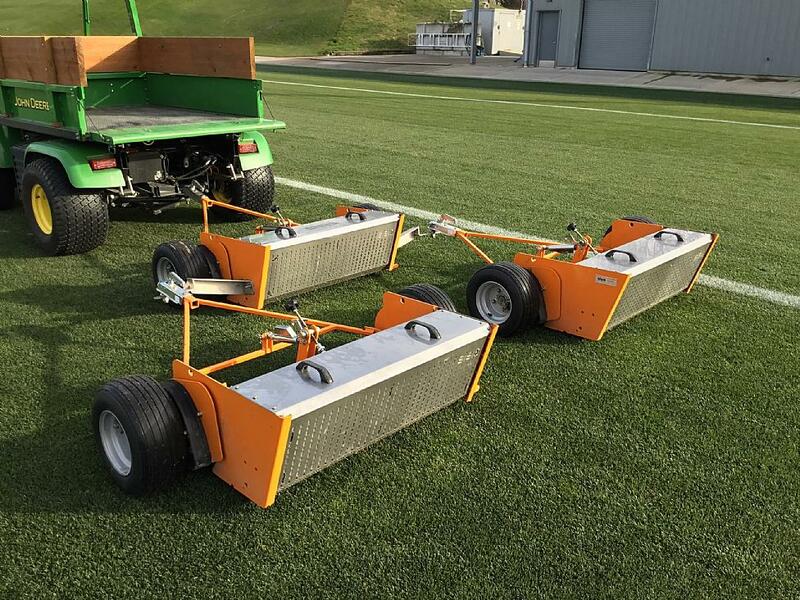 With the indoor practice field experiencing high usage, combined with the added pressure of the facility being open to the public eye, Sergio wanted to improve the condition of the synthetic surface. After some initial research, he found the solution in the form of the SISIS SSS1000. “I first heard about this product through online research and recommendations from Pacific Golf & Turf and CS Trading LLC. 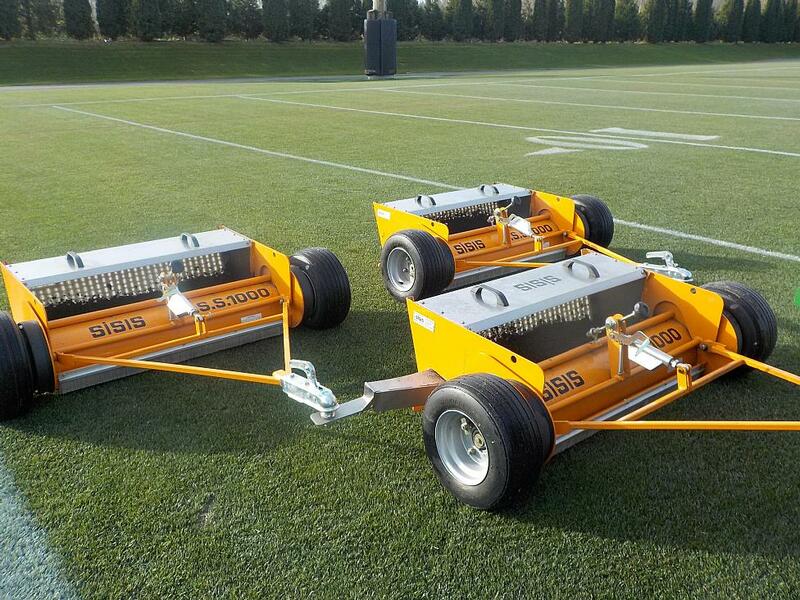 I knew that Dennis and SISIS are renowned for manufacturing popular sports turf maintenance machinery in the UK and that more and more people over here in the States are starting to use them. 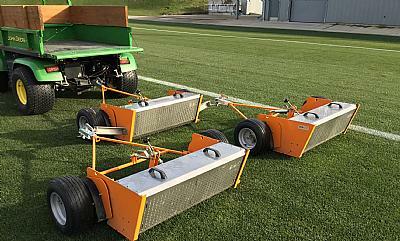 After seeing the product on a demonstration and finding out more about the company, it soon became obvious that they have very specialised equipment for sports turf that works incredibly well,” he said. 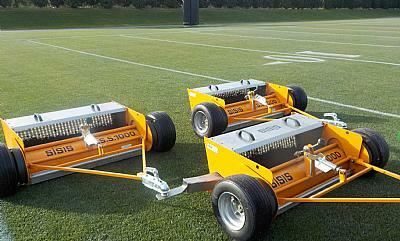 The SISIS SSS1000 is a tractor mounted sweeper which can be pulled by any machine. The rotary brush has been designed for use on synthetic surfaces to remove surface debris, lift the carpet pile and redistribute sand or rubber crumb infill giving the surface maximum performance and extended life. There are no tools required for the adjustment of the brush or the angle of the draw bar and to make storage easy the draw bar lifts to an upright position. With an aluminium hopper with stainless steel mesh, any infill that is collected when using the machine is returned back to the surface leaving it free from contamination of debris. Sergio relies on the SSS1000 immediately after every field use and believes that the product has taken the surface to the next level.